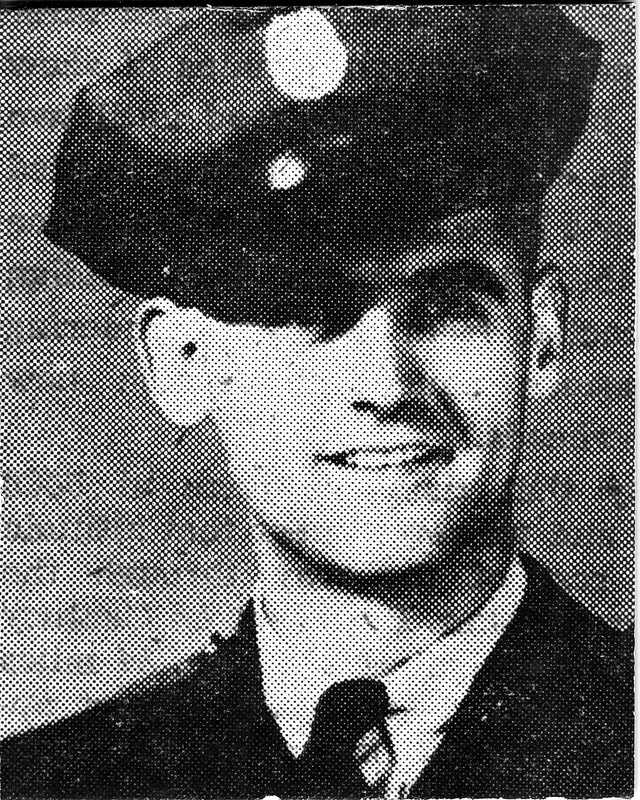 Trooper George Robert "Bob" Cameron, age 31, had been with the Oregon State Police less than 5 years when he was fatally injured in an early morning automobile accident on July 5, 1944. Trooper Cameron, who was born and raised in Pendleton, had served out of the Roseburg and Baker offices and at the time of the accident was working out of the Astoria office. He and State Trooper Jack Olds were near West Lake in Clatsop County questioning a truck driver at about 3am on the side of the road when an automobile driven by a 21 year old Astoria man approached the officers on the wrong side of the road. Trooper Olds was able to leap to safety but the automobile hit Trooper Cameron and he was crushed between the automobile and the parked truck. He died enroute to the hospital. The driver was later charged with negligent homicide. Funeral services for Trooper Cameron were held in Pendleton with Charles Pray, Superintendent of the Oregon State Police and many other fellow officers in attendance. Pall bearers were six Oregon State Police officers from the Pendleton office. He was buried in the Olney Cemetery in Pendleton. Bob Cameron was born in 1912 to Charles and Gertrude Cameron. He had two older sisters who survived him. He was married to Wanda Dollis Coles and had a step-daughter, Sandra.